In the light of any firearm related murder, the news returns to a handful of disgusting tropes. The first is the assumption that the murderer is a bigoted white man, followed by the accusation of right wing extremism, and always, always, always, followed up by a call to do something about those easily accessible scary assault weapons (a made up term to instill fear). One self purported ‘gun owning’ “journalist” called for a ban on all “AR-14’s.” He meant AR-15, as the Ar-14 is an a score model not known to… Anyone….But while gun owners roll our eyes at the ignorance spewed from the media, and even from the White House (the president recently said that the Orlando shooter had a “Glock, which had lots of clips in it…”How did this anomaly work at all?!? ), as we grind our teeth at the absurd calls for the ineffective and unconstitutional bans on certain firearm types, we are left to shout at our TV’s whenever the talking heads imply that the second amendment has anything to do with hunting. The anti-gun crowd insistently repeat their drivel as if they have any concept of what they are talking about. But in the middle we have those who don’t know firearms, who didn’t know to laugh mercilessly at Tom Brokaw’s ignorant AR-14 comment, who might think that the ‘common sense gun control’ measures sound reasonable, and that couldn’t tell the difference for between a shotgun or a rifle: this post is for those people. If we are to have a real conversation about guns, we should at least all have some idea what we’re talking about. I don’t have any resentment to you if you are ignorant: not knowing something has no shame…. Until you try to use your ignorance as a weapon, then I have a problem. So we are going talk about the basics of guns for a few minutes. There are literally tens of thousands of firearm types, models, caliber, etc. Even the most knowledgeable experts can find themselves ignorant in certain areas. So I’ll be speaking in generalities. There are always exceptions to these generalities (with tens of thousands of gun types, of course there are), but let those go, mister internet warrior 🙂 – I’m giving a rundown of firearm basics to those who don’t know. If this feels overwhelming, keep with it. I’ll try to talk in basic terms as much as possible, but even for those of us in ‘the know,’ the substantial quantity of information can be overwhelming. Be patient, reread, and even ask questions! I like to joke that I was born with a rifle in my hands. I don’t think that I was actually, but I don’t remember for sure. We’ll have to wait on my mom to weigh in on the topic. I became a NRA Certified instructor for basic courses in 2007, and have maintained those certifications since. I’ve been the range master for literally millions of rounds fired: and never had an accident on one of my ranges. I’ve studied independently most of my adult life, being fascinated by the topic. I was a police officer, and qualified top of my academy class with the tactical shot gun, and in the top 3 with a handgun. While I am not an handgun instructor, I am a gifted shot. Despite these things, I still feel like a 3 year old in an advanced physics course when my father-in-law and I talk: he’s been doing this a lot longer than me, and with much more gusto… And even he finds areas of ignorance on this topic: it’s a massive amount of information! Let’s define some terms: these may or may not be commonly used terms, but for the sake of our conversation, these are the baseline. A firearm type, in our conversation, will refer to the basics of the gun’s function and defining characteristics. A firearm class, in our conversation, will refer to the basics of the rate of fire. Both are important. The first class of firearms are called ‘Single shot‘ firearms. These guns need to be reloaded after each shot. These are popular types of guns for some hunters and for learning how to shoot. On my ranges, I use single shot guns almost exclusively as it keeps a person from firing rapidly and learning sloppy habits. The second class of firearms are called “semi-automatic” firearms. Almost without exception, when you hear someone in public office or in media talking about ‘automatic’ guns, they are referring to semi-automatic guns (but ‘semi’ makes it sound less scary). The “automatic” part means that the gun re-loads itself after each shot, assuming that it has ammunition to use. The ‘semi’ part means that, like the single shot, the trigger must be pulled once for every shot fired. You cannot just hold down the trigger and ‘spray bullets,’ as is commonly claimed. This type of firearm is by far the preferred firearm for most applications: including hunting, personal defense, target shooting, and shooting sports. The final class of firearms are called “automatic,” or sometimes “fully-automatic,” firearms. Like the semi-automatic guns, these guns automatically reload after each shot, but unlike semi-automatic, one can hold down the trigger and continuously fire. Most fully automatic guns have a switch to choose between semi-automatic fire, 3 round burst (or 5 on some guns) and continuous fire: the semi-automatic option means that the trigger must be pulled once for every shot. The burst fire means that one pull of the trigger will fire 3 (or 5) rounds, and continuous fire means that each pull of the trigger will fire non-stop until either the ammunition runs out, or the shooter stops pulling the trigger. There are 3 key types of firearms – the handgun, the rifle and the shotgun. The revolver: This firearm has a spinning cylinder which holds (usually) between 5 and 7 rounds of ammunition. While it is technically classed as a ‘Single Shot’ gun, an argument could be made to classify this gun as semi-automatic. 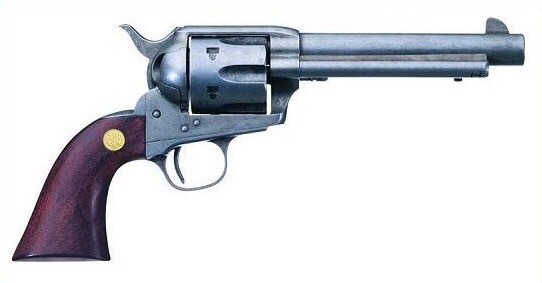 This is the traditional “old west” type of gun. It is typically slow to reload, heavy (being all metal construction) and bulky. Different models vary in how to shoot: the old western movies show the shooter pulling down the ‘hammer’ on the back – some require this action, others don’t. 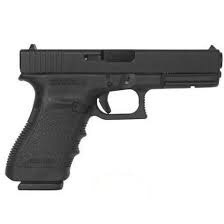 This is a popular style of gun, but it is less effective in defensive uses than the next category, and had thus been phased out of use in law enforcement and military use. The pistol: This firearm has a magazine holding the ammunition in the handle. This semi automatic firearm uses the force of each round to expel the brass of the used ammunition and load the next round from the handle’s magazine, making this an efficient type of gun. Like the revolver, some pistols have a hammer that must be pulled before the first shot, but unlike those revolvers, not for the next shots. More common, however, is the pistol that doesn’t need to have a cocked hammer. Having either a metal frame of a plastic polymer frame, pistols can be lighter than revolvers, and are usually less bulky. These are easily reloaded, provided one has new magazines ready to use. Because of the effectiveness, speed, weight, and bulk of this gun, it has replaced the revolver in popularity among police and military, as well as among most defensive users, and many target shooters. The derringer: This firearm usually only holds 1 or 2 rounds of ammunition, requires the hammer to be pulled in order to fire, and lacks accuracy and comfort. 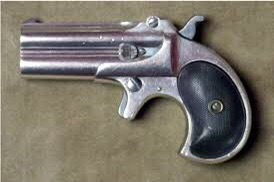 While this style is old and common (John Wilkes Booth used a derringer to assassinate Abraham Lincoln), they are not the preferred gun of many. The primary advantages of this gun are that they are lightweight and small, making them easier to carry in a concealed setting…. but they are impractical in almost every other way. Shotguns great for many uses. They are my preferred target gun. Generally, shotguns are the best guns for hunting small game including rabbit, squirrel, pheasant, and all other types of birds. By simply changing the ammunition type in a shotgun, they can also be used effectively against some large game such as deer. Shotguns provide excellent defensive use for short to mid range distances. Depending on the ammunition type, shotguns lose effectiveness between 50 and 100 yards. Each of the above guns is functionally similar. The top is a single shot gun, while both of the bottom two are semi-automatic shotguns. They are cosmetically different, having different intended uses, but (the bottom two particularly) are functionally the same. The shotgun, unlike both the handgun and the rifle, generally has a smooth bore, which is the inside of the gun’s barrel. This decreases the effective range, but increases the variability of ammunition from a single gun. A single shotgun can shoot dozens of small BBs, called shot, in one round (bird-shot is the smallest, and holds the greatest amount), or can shoot eight or nine 9mm ball bearings (called buck-shot, used often for deer hunting, as a defensive ammunition, and is a favorite of law enforcement), or can shoot a single lead slug which can be almost 18mm in diameter (used for big-game hunting and defensive use: slugs have the greatest range of all shotgun ammunition) – all without any modifications to the gun itself, but simply by changing out the ammunition! This versatility makes the shotgun a favorite for many. Rifles are great for all uses. They are a lot of fun for target shooters. For hunting large game, including deer, elk, bear, and large cats, the rifle is the ideal gun. For defensive purposes, this type of gun is the best all around weapon. These can also be used for offensive purposes. The number of rifle types is substantial, and they can be modified to fit the specific needs of their particular shooter. Rifle’s have the longest effective range of the three gun types. I can think of one particular sniper shot, in Afghanistan, which was over a mile! Even excellent shooters, however, typically lose effectiveness outside of a couple hundred yards, depending on the gun. Like the shotgun, the rifle is a long gun. And like the handgun, the rifle has a twisted bore, called ‘rifling,’ which is were it gets its name. This twisting spins the bullet as it leaves the gun, giving increased accuracy and range vs smooth bored guns. The advent of rifling changed history, and the Kentucky Long Rifle, known for its accuracy and range, helped to win the revolutionary war. Rifles, like handguns, (but unlike shotguns) shoot bullets, rather than shot (varied sizes of BBs) or slugs. To the untrained eye, one might see in the top picture a military weapon, designed for the use in war. The second might be seen as a target shooting gun, or for use in shooting cans. The third, to the untrained eye, may look just like a standard hunting rifle. But the truth is that the 3 guns above are all functionally identical. The top image has hundreds (or thousands) of dollars worth of extra ‘stuff’ on it to customize it for the owner, the second image is what one might call the “stock options” and the third has replaced the grips and stock with wood finished parts for a pleasant look (I prefer the wood look myself), but all 3 are semi-automatic, AR-15 rifles. It’s an important thing to carry ones argument to the failing point, and every argument has a failing point. I tend to be more libertarian, but the libertarian failing point is anarchy – when you carry libertarian principles to the extreme, the result is anarchy, which is a failed idea. So, as a libertarian leaning person, I must recognize the failing point, or the extreme, of my values, and then draw a line. Some might say “anarchy is the way to go,” in fact, I remember debating someone with that view in high school – I showed her that the result of anarchy was mob rule, or worse, strong-man rule. She insisted that with no laws, people would be inherently good and treat each other justly. In her mind, all evil stems from the government. I disagree with her fundamentally. I believe that, while most people are good, it only takes a few to ruin it for everyone else: this is the purpose of government – to keep people from harming others or taking their stuff. Having gone to the extreme of my viewpoint, I draw the line. For me, the place to be is as far toward the libertarian extreme as we can get, without the breakdown of society. For me, the line is the US Constitution. There are, admittedly, a couple of amendments that I would repeal, given the chance to be dictator-for-a-day, (the 16th and 17th come to mind) and a few that I would add, given that same authority (a balanced budget amendment, for example). I believe that the US constitution, as written, provides the greatest liberty to the greatest amount of people, while still holding together the republic that best protects people from other people. So to guns – I think the argument has been settled since 1791, but there still seems to be constant questioning, particularly when people die because bad people use guns badly. So to discuss guns, we ask what are the extremes? To the authoritarian extreme: Complete governmental control of all guns; keeping guns in the hands of the military and police forces. The the liberal extreme: the complete obliteration of all guns, the removal of the existence of guns, and the ability to create guns. The libertarian extreme: The complete removal of any restriction of armament, up to and including weapons of mass destruction. So seeing the extreme of each position, I’ll sum up the breakdown of them: The authoritarian extreme fails because it doesn’t allow for evil in government, nor does it truly protect the populous. this is evidenced in Australia, and the UK, who, implementing laws that draw close to the authoritarian extreme, have had a significant increase in violent crime, (though an overall decrease in gun crime…), an increase in *hot* home break-ins (hot meaning that the resident is home at the time of the break-in) and a decrease in overall public safety. The Liberal extreme fails because it is literally impossible. Even if all guns could be rounded up and destroyed, and all gun manufactures put out of business world wide, guns aren’t really all that difficult to manufacture at a small-scale level, and the black market of home made guns would immediately take off. The conservative extreme is theoretically lovely, but like the liberal extreme, it’s impossible. How do we restrict the armament of the evil, the dishonest, the emotionally unstable proactively? This is the current question and intent of law enforcement theory, and the science-fiction end result is Minority Report – the removal of rights based on what a person MIGHT do, rather than what they HAVE done. Of course, few people sit in any one extreme, (and few will admit to actually being extreme in their position) – around here, we tend to get people who are both conservative and authoritarian in their views. The result is that they trust the government without (or with little) condition, while still desiring allow people their rights. This is an awkward conclusion – a people who support individual rights as directed by the central governmental force (I tend to think that this view is hypocritical, naive, or stupid). In some areas, the combination is a liberal-authoritarian view (DC and Chicago come to mind) – complete trust on government, paying lip service to individual rights, but refusing individuals the ability to make any decisions – the end result is some of the highest murder rates in the country, general distrust (and riots) against the police, who at best fail to protect the citizenry, and at worst act as tyrants over them. My view tends to be libertarian/conservative – While I don’t thing that we should have any restrictions on personal armament, I also do not want weapons of mass destruction in the hands of the evil or ill-intending, and am willing to allow for the restriction of those weapons on all individuals. I used to make the liberal exception: if we could remove all guns from history, and the knowledge of them, we’d be better off. after all, guns are only (or mainly) to just kill people… except, they aren’t. they aren’t just to kill people, they’re to equalize people. Of course, not everyone is ‘equal’ – some people are faster, some people are better shots, some are better trained, some are better equipped, but those things are all controllable at an individual level. Even as a disabled person, I can train, practice, and spend my time and money on the best equipment and education to be the best prepared and most equal in defending myself. Without guns, I cannot do that. for all intents and purposes, I’m crippled. I cannot defend myself using martial arts, despite my knowledge of some. I cannot defend myself with a sword or knife or baton, despite being trained to do so with at least 1 of those. And because my disabilities are no longer invisible, I’m at a significantly higher risk of being targeted as a victim of violent crime. A gun gives me a real shot (no pun intended) at defending myself against someone intent on harming me. So back to the first full paragraph: What is the end conclusion, taking into account the extremes? I am in favor of the greatest amount of personal liberty possible. My personal extreme is the libertarian extreme, but the line I draw is for weapons of mass destruction. I’m not sure that the second amendment allows for that restriction. But we’ve a long way to go before we get to that extreme… a long way. When deciding policy, we MUST define our personal lines. we must define our political lines. Where do we stop? The problem with most proponents of “common sense gun control laws” or other bull-manure fallacies, is that they say “let’s go toward this extreme. we’ll go only a little bit toward it, for now, but next time, we’ll go farther. and the time after, we’ll go farther. and then farther. eventually we’ll be close to the extreme, but at no point will we define where we will stop.” This is why the discussion rankles people like me, we Second Amendment supporters. It feels dishonest, and in the case of most politicians, it IS dishonest. So before I’m willing to have the conversation, the ‘other side’ has to first acknowledge the extreme and put into place their stopping line. What is the problem with the Founder’s stopping line? Their line is “The Right of the People to keep and bear arms SHALL NOT BE INFRINGED.” It’s the libertarian view. The problem that people have with the Founder’s stopping line is that it leaves room for bad people to do bad things. We naturally want to prevent a San Bernardino, or an Aurora, or any number of other events wherein bad people did bad things. What nobody is willing to admit is that we CAN’T prevent all of those things. That’s not a nice admission. That’s not something we want to hear. But we can EITHER control the actions of every individual in our country, OR we can keep our people free to choose. The first doesn’t work, and it also strips the individuals of liberty AND responsibility. Both allow for bad people to bad things. It is hard to admit that in a free society, people will make decisions that we disagree with. People will use their freedoms to make poor choices. They’ll use that freedom to make bad choices. They’ll use that freedom to make decisions that hurt themselves or others. It’s hard to allow people to be wrong. But Freedom can’t exist without that choice. It’s difficult to make policy decisions that are perfect. But if we can’t be perfect, I’d err on the side of personal liberty.